Even a team as successful as the Patriots needs a reality check every now and then. New England lost its second consecutive game on Sunday, falling to the Steelers to bring its record to 9-5. As the Patriots move on to Week 16 vs the Bills, they're faced with their biggest mental hurdle of the season. Curran: Why did Brady fade away on final throw vs Steelers? 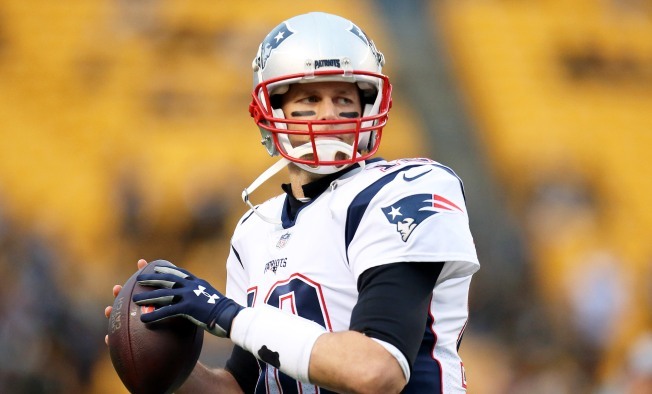 During Tom Brady's weekly chat with Jim Gray of Westwood One, the Patriots quarterback admitted there were some "tough conversations" following the disheartening loss. "Right now we are 9-5," Brady said. "It's not where we hoped we'd be. It could be better, it could be worse. It is just the reality of where we are at. We'd love to win every game, but that's not the reality of sports. I'd say we learned from yesterday. Hopefully, the guys took it to heart. There were some pretty tough conversations and tough coaching which is deserved by us players. Ultimately, we didn't execute enough to get the job done." Brady mentioned that the adversity the team currently is facing will test the team's mental toughness moving forward. "It's challenging when you have back-to-back losses," Brady said. "It's mental toughness, this is when it really shows. The character of the team, the character of the players, the coaches, the whole organization is tested, because when things aren't going right, obviously the natural instinct for humans is to point fingers, but everyone should point the finger at themselves and realize that we all individually need to do better so collectively we can put something out there that we're way more proud of than what we've put out the last few weeks. After losing to the Steelers, the Patriots are in danger of having to play in the AFC Wild Card Game. They're currently the No. 3 seed behind the Chiefs (10-3) and Texans (9-4).